Today’s gospel reading is a challenging series of parables about the “kingdom of heaven.” While the subject of the parables is basically the same, the thematic diversity of the parables suggests how multifaceted is any understanding of the kingdom Jesus proclaims and to which he points. The parables – suggesting the humble and unexpected nature of the kingdom, the kingdom’s surpassing value, and its real and perceived population – offer different windows into the one reality of the kingdom. In telling parables, Jesus surprises and stretches our minds, engages and enlivens our imaginations. Having minds and imaginations set free by the gospel is part of our “train[ing] for the kingdom of heaven” (Matthew 13:52). Consider baking bread for this day’s Eucharist. Use the story of working with flour and yeast as a way of illustrating Jesus’ parable of the yeast. Be sure to use a recipe that uses yeast and not simply baking soda or powder. One recipe example is here. 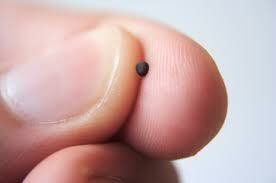 Mustard seeds, because of their smallness, are especially illustrative for Jesus’ parable. But all growth from seed to adult plant is an event of mystery and wonder. In his book, Life is a Miracle: An Essay Against Modern Superstition (Washington, DC: Counterpoint Press, 2000), poet Wendell Berry writes against what he considers the “superstition” of certain scientific understandings that seek to banish the mysterious and gracious nature of all existence. Come to me bulldozing God, and treasure my field, full of artifacts and potatoes. Dig the hidden holiness in the ordinary soil. Come to me bird-watching God, you will find the branches for nesting. A mustard seed of faith grows to a place of many wings. Come to me fish-netting God, cast your wide love which draws in without judgment. All fish written in the dirt are a sign for Christ. Come to me bread-baking God, give yeast for my rising, knead the warm dough. Bake the sweet smell that always sings the end of hunger. Come to me pearl-hunting God, dive my deep depths, open my shell. Find the place of past intrusion where translucent beauty forms layers around sharp pain. Come to me parable-telling God, metaphor-lavish with images to say you love me, until your word-palette paints new meaning into my life. “Prayer of the Heart” by Maren C. Tirabassi & Joan Jordan Grant. An Improbable Gift of Blessing: Prayers and Affirmations to Nurture the Spirit (Cleveland: United Church Press, 1998). Why is the realm of heaven like a mustard seed? What is the result of the realm of heaven “leavening” the rest of life? How is the church like a small treasure in a lot of dirt? What would you sell or give up for the realm of heaven? If the realm of heaven is like a net, why should we ever turn anyone away from baptism? Do parables make the truth easier to understand or harder to ignore? This entry was posted in Ordinary Time and tagged Eucharist, Faith, Jesus, Lectionary, Parables, Wendell Berry. Bookmark the permalink.